Minimalism and coolness are the signature characteristics of the French Prêt-à-Porter label Céline. After ten years, creative director Phoebe Philo is leaving the fashion house. Apparently, she has influenced the fashion world in many ways. An oversized coat, some high-waisted trousers and white sneakers – there you have the business look of today. Whether it’s in New York or in Hamburg, whether it’s in the tube or in the bus, we see them everywhere: Strong women who live their business lives, dressed in the standard look à la Céline. Obviously, this doesn’t mean that everyone is wearing a full outfit of the French label. 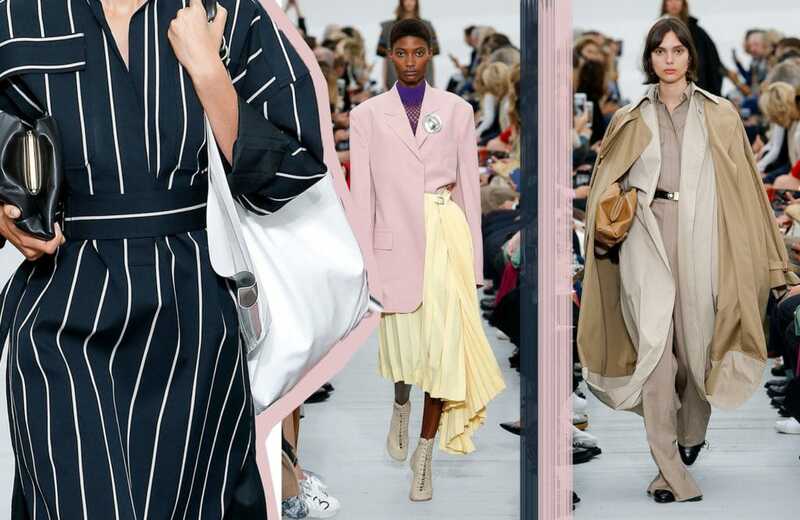 However, it was Phoebe Philo who came up with the basic “uniform for business women” – and she has reinvented it over and over again until today. At the beginning of 2016, several online platforms spread rumors about Phoebe Philo’s exit of Céline. Back then however, those gossips were all stated as “totally fabricated”. All Céline-lovers and the whole fashion world gasped relief. Now, almost two years later it’s time to face the reality: Phoebe Philo will leave Céline at her own request after the Fall/Winter 17/18 presentation this March. The online magazine Business of Fashion wrote that the Céline team has been interviewing new potential successors for months. Well, we will soon know who’s going to be the one who will follow in the steps of Philo. Until then, we have still some time left to admire the sporty and elegant clothes of the graceful UK designer. After Phoebe Philo succeeded Ivana Omazics at Céline in 2008, she has changed the 72-year-old company from ground up. They wanted it to be a total new beginning. They moved the head office from Paris to London so Philo could stay close to her family. They sorted out the team and the retailers, the prices increased and the brand enjoyed more popularity amongst young women. Philo’s collections are effortlessly fresh and they often include shirts made out of nappa leather in plain colored pastel tones or khaki colored coats. Even the famous Céline bags show the clean characteristic by displaying the brand’s logo in a very subtle way. After her studies at the Central Saint Martins College in London in 1997, Phoebe Philo started to work as fashion design assistant at the French label Chloé. In 2001, she succeeded the former creative director Stella McCartney. Back then, she designed romantic and girly dresses with fluid silhouettes – today she does the exact opposite: Philo combines long lines with clear masculine silhouettes. Furthermore, her shoes set against the usual ideal of beauty, as they are not typically elegant but first of all comfortable. In 2011, the “Furkenstocks” were launched. They remind of the original Birkenstock slippers but they are padded with mink fur. Thanks to Ms.Philo, Céline has got more and more important and popular. In numbers, she helped to raise the annual revenue of 200 Million Euros to more than 700 Million Euros. 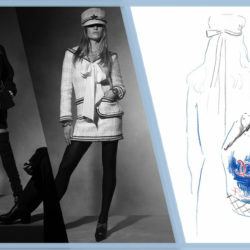 Apart of that, the brand became an own movement of confident and smart women, the so-called “Philophites”. Apparently, the designer has still some stories left to tell for the future. Rumor has it that she could succeed Christopher Baily who is leaving Burberry in March 2018. However, the gossips two years ago proved that you cannot really rely on them. So maybe, the designer just wants to enjoy some family time with her three kids and her husband while taking a creative break. Whatever comes Phoebe, we wish you all the best and hope to see more of your work soon! 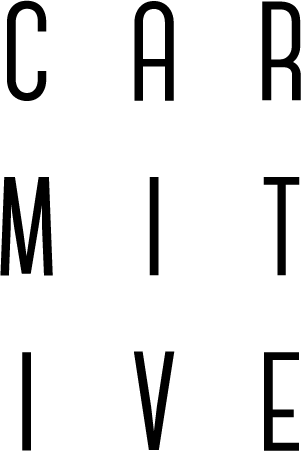 Posted in News and tagged Céline, Classics, Designer, Designer Carousel, Fashion, France, Inspiration, London, Paris, Prêt-à-Porter. Bookmark the permalink.